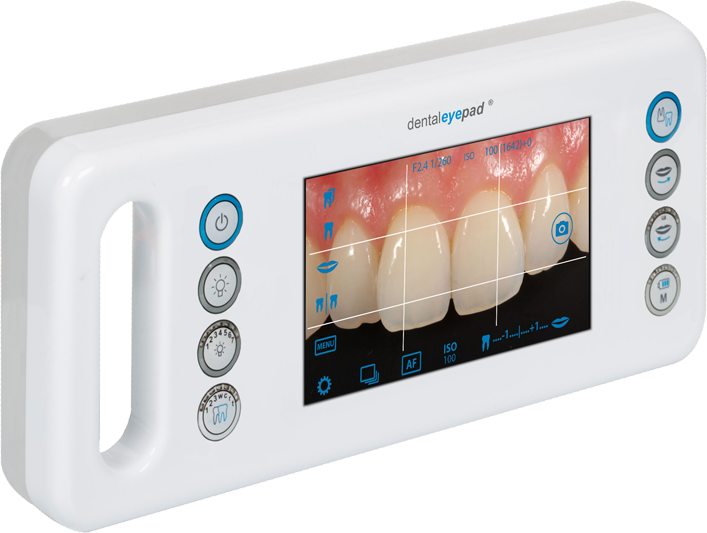 doctorseyes is proud to present the dentaleyepad. Never before has it been so easy to get dental shots perfect. And never before has it been so much fun. Every tooth is shown larger than life, every detail is crystal clear and the depth of field is magnificent. That‘s how perfect documentation works. Your patient is also impressed. Dental digital photography is finally fast, easy to learn and reproduces wonderfully. We would like to introduce you to our doctorseyes system, one that is simple and helps you produce great dental photos fast. You know the situation: the patient is in the chair and you have to document their current status. Things should run smoothly and quickly but the pictures have to be perfect. Of course, their next visit has to be just as efficient. The process should be comfortable for the user and easy to learn so that everyone in your practices staff could take over the responsibility of taking the dental pictures. 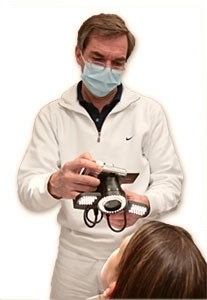 As an official solution provider for intraoral photograpy we present the velscope camera solution kit which enables to join the oral cancer screening system velscope with a camera of choice. read more..
No complicated adjustments are necessary. 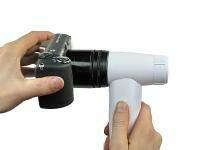 You do not need any kind of additional flash equipment to work with your camera. You simply turn on the ringlight system without the cameras built-in flash and take pictures as if you were taking a photo under daylight conditions. In the cameras display or viewfinder you can see beforehand how good your shot will be.